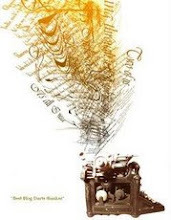 The Book Connection will be participating in National Blog Posting Month (NaBloPoMo) again in May. NaBloPoMo is where you commit to writing at your blog every day of the month, something I find much easier than trying to write a 50,000 word novel each November while trying to prepare for Thanksgiving and Christmas. 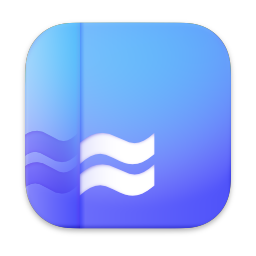 The coordinators of NaBloPoMo help bloggers out each month, by providing a theme for bloggers to write about. You don't have to use it--and I rarely do--but it is there in case you need some ideas on what to blog about. With Mother's Day coming on May 10th, I thought this month would be a great way to honor mothers everywhere. All our special features this month will be books about mothers, motherhood, or parenting. 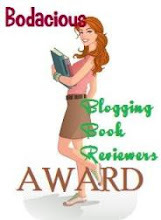 * Authors Dr. David Gruder, Abe March, Rie McGaha, Tim Kellis, Herbert Howard Jones, Dawson Church, Therese Fowler, Kandy Siahaya, Elizabeth Walker, and Kathye Quick will be our guest bloggers. * We'll interview Barbara Weaver Smith about her latest book, Whale Hunting Women: How Women Do Big Deals and Hopeful But Frustrated Teacher (HBF Teacher) will give us a glimpse into America's public schools when we interview her about her realistic fiction book, No Teachers Left Behind. * The Last Queen by C. W. Gortner and The Crypto-Capers: The Case of the Missing Sock and The Case of Red Rock Canyon by Renee Hand will be reviewed in May. And don't forget that our Spring Book Giveaway is running until May 15th. You'll find details here. 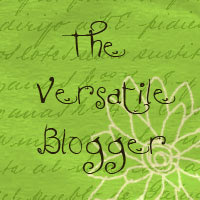 Make sure you check back every day to see what is going on at the blog where readers and writers connect. Matt is busy in his room studying when his younger sister Mary Beth strolls in begging to play the game Matt received as a gift from his mother. Like the typical older brother he says, "no"; but Mary Beth soon convinces him that a round would be fun. And like the last time when they played with Matt's friend Guy, they place a bet. This time, the loser has to perform the other person's most hated chore. I eagerly awaited the release of the second book in the Junior Geography Detective Squad series. Book 1, State of Wilderness--which we reviewed here--introduced us to Matt Peterson, his mother, his best friend Guy and his younger sister Mary Beth, and led the kids along on an adventure that made learning fun. With Guy only being mentioned in the second book, but not present to participate in the game, State of Quarries depends upon the healthy competitive side of sibling rivalry to move the story along, as each sibling hopes to uncover the answer first and not be stuck with the other person's most hated chore. Once the game is over and the state's identity has been revealed, there is a section that provides more facts about the state and a series of discussion questions. 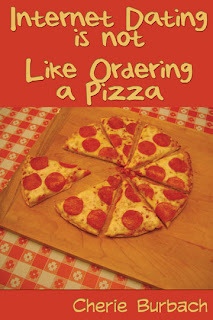 This book is perfect not only for your child, but is also an excellent classroom resource. Teacher's Guides are also available. Learning doesn't get any more fun than this! Joining us today is businessman and author, Lloyd Watts. LLoyd's personal/business finance book, The Flow of Time and Money: How to create a full and prosperous life, is a groundbreaking new book that will help you master the relationship between your time and money. Using simple, proven techniques and easy-to-understand diagrams, Dr. Lloyd Watts shows you how to take control of your income, expenses and time commitments in order to achieve wealth and personal fulfillment. You can find out more about Lloyd and The Flow of Time and Money by visiting www.flowoftimeandmoney.com. I posed this question to Lloyd: I meet you at a book-signing and I give you maximum 2 minutes to sell me his book. What do you say? If you look at the problems in most people’s lives, you will see that they center around money, or more specifically, a lack of money. People work at jobs they don’t enjoy, making less money than they feel they are worth, without feeling fulfilled or creating a great future for themselves. And these financial problems often have direct effects in other parts of their lives – lack of confidence, staying in bad relationships because they can’t afford to split up, etc. For many people, these financial problems have been magnified with the current downturn in the economy. The Flow of Time and Money shows you how to solve these problems, and create a life of wealth and fulfillment. It shows you how Time and Money really work – how we use them, spend them, waste them, and invest them. It shows you how to stop wasting your time and money, and how to invest your time and your money into things that grow and create real value. It gives you a roadmap to financial independence, with four stages (Youth/Education, Accumulating Capital, Small Deals, and Big Deals) so you know where you are on the path and what you can be doing now to advance safely to the next stage. And it shows you how to avoid the most common traps (Save and Spend, and Borrow and Spend) that can lead anyone into trouble. 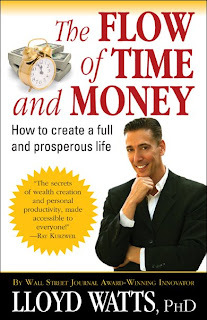 The Flow of Time and Money is a quick read, with helpful diagrams to make it easy to understand how time and money really work, and how to build the life of your dreams. Buy this book, and put it into practice – and create the life of wealth and fulfillment you always wanted. Lloyd Watts is the Chairman and Chief Technology Officer of Audience, Inc., an award-winning technology business that he founded in 2000. Lloyd’s book, The Flow of Time and Money: How to create a full and prosperous life, is available at Amazon.com and at www.flowoftimeandmoney.com . Our special guest blogger is Christian children's author Patti B. Ogden. Patti wrote Keoni's Big Question--which we reviewed here. In this book, Keoni is searching for the answer to his question about God, and no one seems to be able to answer it. Then one day while on a fishing trip, Keoni works up the courage to ask his friend the Old Fisherman, and Keoni finds his question answered in more ways than he ever dreamed of. One of the best things about Keoni's Big Question, is that it breaks down a difficult concept for youngsters and makes it easy to understand. An experienced Sunday school teacher, Patti shares with us how to teach children about the Bible without being too preacy or heavy-handed. Three bullets were carefully placed in the middle of the table. A red construction paper heart beside them, with three jagged edged holes ripped through it. My extreme display was approved by the deacon (he said as long as they don’t accompany a gun I would be fine). And it brought the sober reaction I needed to catch the kids off guard. I definitely had their undivided attention. What they didn’t know is what had happened to me the week before. Having suffered the cruelest verbal attack of my life - from a dear person that I love deeply but who couldn’t understand my belief in God- I experienced a battle within that had my emotions reeling and reaching for comfort and understanding. I sensed that what I went through that week may just be a thimble full of what today’s Christian teens experience in today’s toxic anything-goes society. I wanted to teach them how to deal with such attacks and how to come to terms with the raging hurt within. We began with scripture that showed the humiliation that Christ suffered. Then we covered stories of persecution that believers had to endure because they “took up the cross and followed Him”. The kids took turns reading through the comfort passages of how the Lord loves His children and is a shield, a fortress and an ever present comfort in our despair. We ended with scripture that taught us never to seek revenge, for that is up to God. After all, Jesus still had mercy and kindness for the soldier that arrested him and led him to trial. Peter cut off his ear in a fit of rage and Jesus reached out and healed it. The meek will truly inherit the earth. By the time the class was complete, I knew the lesson had made its impact. It hit right where they live. They opened up about their own experiences and found comfort that God completely understands what they go through. By finding common ground with others that have “been there” and then offering Biblical solutions, children can be comfortable with Christian teaching. Teaching that inspires and encourages spiritual growth is not preachy or heavy-handed. It leaves kids with a desire to come back to hear more. 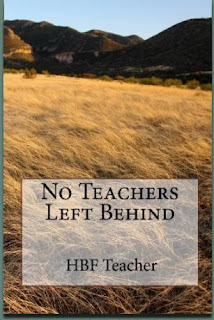 If you want to take a scary and sometimes funny--if it weren't so real--trip through the day-to-day life of middle school teachers, then pick up a copy of No Teachers Left Behind by Hopeful But Frustrated Teacher (HBF Teacher). Join Sixth Grade teachers Sandra Wyatt and Marcus Watts, Seventh Grade teachers Sonya Harte and Gail Jenkins, Eighth Grade teacher Angela Williams, and the other teachers, administrators and support staff at fictional Vilyon Middle School for a glimpse into the daily life of teachers in America's public school system. Frustrated, by overpaid administrators whose decisions lack common sense and place the "needs" of students ahead of everything else--including necessary discipline and safety issues, the teaching staff at Vilyon Middle School can't even seem to get support from the support staff. The head custodian expects them to make sure unruly and unmanageable students don't destroy the bathrooms; while unsupportive parents point to teachers as the problem behind their children's lack of academic success. My opinions on this book are mixed because I approach it both as a parent and as someone who volunteers in local public schools. I've watched while budget cuts have left teachers counting the number of photocopies they make each day, while perfectly useable equipment is replaced with newer models. I've heard the cries of large class sizes, but have heard stories of teachers not wanting parents in their classrooms. The author's passion for this subject is evident. While I didn't think I would care for the format at first, I found it very easy to follow the various email communications and scenes to their shocking and tragic conclusion. The language is a bit crude in places, but mostly appropriate when used. The one thing I didn't quite understand was the cover art; but I thought the rolling prairie might be symbolic of the less complicated days of educating children in one-room classrooms, before government legislation and mandatory testing dictated how educators taught their students. No Teachers Left Behind is one of those books that will leave you thinking about the state of things long after you've turned the last page. 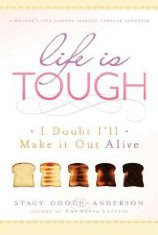 Life lessons learned through one mother's journey is what readers will discover when they open the pages of Life is Tough - I Doubt I'll Make It Out Alive by Stacy Gooch- Anderson. Already a fan of Stacy Gooch-Anderson and her book The Santa Letters--which we reviewed here--I was thrilled to be asked to review Life is Tough. Gooch-Anderson has a way of touching the heart like few authors can; and here, her skills shine through in a funny and often tender way, as she shares with readers twenty-eight lessons she has learned from her own parents and her journey through motherhood. From embarrassing home movies, to the challenges of learning to ski; from Daddy's little girl, to married woman; from a first-time mother, to the ruler over four unique and challenging boys, and from her role as daughter to her role as family matriarch, Stacy Gooch-Anderson's lessons will leave you laughing so hard that you cry, and crying along with her as she deals with the loss of a child and the loss of both parents to cancer. Perhaps, having lost my mother to cancer when I was just a girl helped me relate to the emotions the author shares as she watches her father struggle with the disease, but still maintain his positive outlook on life. And perhaps I cried a few extra tears as Gooch-Anderson tells of her mother asking her to become the "mother bird" who would watch over her siblings "like a hawk". Overall, though there sad moments like these in every mother's life, the majority of the book shares the joys of motherhood: watching your children grow, looking back to laugh upon the challenges they have brought to your life, the pride you feel in them, and the days you threatened to sell them to the Indians (at least that's what my parents always said they would do). Life is Tough - I Doubt I'll Make It Out Alive is the perfect gift for mothers, grandmothers, step-mothers, sisters, and aunts who have traveled and who are traveling along the wonderful, and sometimes difficult, journey of motherhood. It is my hope, that Stacy Gooch-Anderson comes out with another title soon. I'll be the first in line to buy a copy. Publisher: CFI, an imprint of Cedar Fort, Inc. Check out a Life Saver from Stacy Gooch-Anderson here. Follow along as these talented authors travel the blogosphere with Pump Up Your Book Promotion to talk about their books, their lives and their future projects. David S. Brody, author of The Cabal of the Westford Knight (Martin and Lawrence Press), will be stopping off at Beyond the Books! While trying to help an elderly couple save their home, attorney Cameron Thorne is thrust into a bloody tug-of-war involving secret societies, treasure hunters and keepers of the secrets of the Jesus bloodline. Joined by Amanda, a beautiful British researcher with secrets of her own, Cam races around New England with only two choices, unravel the 600-year-old mysteries encoded in the ancient Templar artifacts or die trying. You can visit his website at www.davidbrodybooks.com. Sheri Kaye Hoff, author of the inspirational nonfiction book, Keys to Living Joyfully (Createspace), will be stopping off at Paperback Writer! Keys to Living Joyfully is an inspirational book on experiencing joy, peace, passion, and energy in daily life. It is designed to demonstrate the powerful roles of thoughts, action, and faith. You can visit her website at www.lifeisjoyful.org. J.A. Hunsinger, author of the historical fiction novel, Axe of Iron: The Settlers, will be stopping off at The Plot and Fiction Scribe! The first novel of a continuing character-driven tale of a medieval people whose wanderlust and yearning for adventure cause them to leave the two established settlements on Greenland and sail west, to the unexplored land later referred to as Vinland. You can visit his website at www.vinlandpublishing.com. Alan Kennedy-Shaffer, author of the political nonfiction book, The Obama Revolution (Phoenix Books) will be stopping off at Minds Alive on the Shelves! The first book to be written by a campaign staffer and offering rare insider glimpses, The Obama Revolution explores how a generation of believers and the politics of hope won the presidency for Barack Obama and changed the world. You can visit Alan online at www.alankennedy-shaffer.com. J.W. Nicklaus, author of the book of short stories, The Light, The Dark & Ember Between (Bedside Books) will be stopping off at Write for a Reader and Blogging Authors! Fifteen stories: From the wispy fog of a love lost at sea, to an orphaned child who delivers a present of her own during a war-torn Christmas. These stories are gentle reminders to each of us of what it is to be human, and certainly of our affinity for the slightest glint of Hope. You can visit J.W. online at www.avomnia.com. Balthazar Rodrigue Nzomono-Balenda, author of The Depth of My Soul (I-Proclaim), will be stopping off at Scribe Vibe! The Depth of My Soul is a book or poetry that focuses on injustices such as wars, corruption, war crimes, religious fundamentalism, child abuse, and other types of abuse. The goal of this book is to share his approach with his readers about the problems we face in this world. You can visit Balthazar’s website at www.ganymedeweb.com. Patti B. Ogden, author of the Christian children’s picture book, Keoni’s Big Question (Capstone Productions) will be stopping off at Promo 101! A boy who seeks answers about God’s presence in everyday life, finds his friend held the key to his revelation all along. This gripping tale follows a pair of dear friends on a fishing trip that turns dangerous, then miraculous, and leaves Keoni with more answers then he ever dreamed possible! Every child wonders why we can’t see God. Keoni’s Big Question makes the answer easy to understand. You can visit Patti online at www.capstone-productions.com. Richard E. Roach, author of the suspense mystery novel, Scattered Leaves (Multi-Media), will be stopping off at A Bookish Mom! When Ben McCord comes home from a business trip to find his young wife raped and murdered, he starts out on a journey of death and destruction. Clues lead him to a dark world of drugs and violence in action that spans Texas, Colorado, and the Mexican border. McCord hooks up with a beautiful doctor, who was also victimized by members of the same drug cartel, and together they track down the killers, surviving bloody confrontations, and ending with a suspenseful climax in the Big Thicket of Texas. You can visit Richard online at www.richarderoach.com. T.E. Scott and Stephen Edds, co-authors of the business/personal finance book, The Losing Game: Why You Can’t Beat Wall Street (Hidden Truth Publishing, will be visiting The Writer's Life! T.E. Scott exposes the stock market and commodity markets for what they really are — brilliantly marketed rip-offs. The Losing Game simplifies a very complex system that Wall Street has designed to separate the masses from their money without accountability or prosecution. As a result of this design, they have tricked us into believing that the stock market and commodity markets are something they are not. You can visit them online at www.thelosinggame.com. Donna Lee Schillinger, author of the nonfiction Christian Living book, On My Own Now: Straight Talk from the Proverbs for Young Christian Women Who Want to Remain Pure, Debt-free and Regret-free (Quilldriver), will be stopping off at Book Talk with J & J! On My Own Now is about strengthening young women’s faith and preventing the screw-ups that can brand us for life. Donna Lee Schillinger draws on her eclectic past as a rebellious youth, Peace Corps volunteer, social worker, single mother, court mediator and executive director of a home for single young mothers. You can visit Donna online at www.onmyownnow.com. Lloyd Watts, author of the self-help/personal finance book, The Flow of Time and Money: How to Create a Full and Prosperous Life (Megawatt Media Corporation), will be stopping off at The Book Stacks! The Flow of Time and Money is a groundbreaking new book that will help you master the relationship between your time and money. Using simple, proven techniques and easy-to-understand diagrams, Dr. Lloyd Watts shows you how to take control of your income, expenses and time commitments in order to achieve wealth and personal fulfillment. You can visit Lloyd online at www.flowoftimeandmoney.com. Karen White, author of the contemporary fiction novel, The Lost Hours (NAL Accent), will be stopping off at Bookfoolery and Babble and Popin's Lair! Now a near fatal riding accident has shattered Piper’s dreams of Olympic glory. After her grandfather’s death, she inherits the house and all its secrets, including a key to a room that doesn’t exist—or does it? And after her grandmother is sent away to a nursing home, she remembers the box buried in the backyard. In it are torn pages from a scrapbook, a charm necklace—and a newspaper article from 1929 about the body of an infant found floating in the Savannah River. The necklace’s charms tell the story of three friends during the 1920s— each charm added during the three months each friend had the necklace and recorded her life in the scrapbook. Piper always dismissed her grandmother as not having had a story to tell. And now, too late, Piper finds she might have been wrong. You can visit Karen online at www.karen-white.com. David S. Brody, author of The Cabal of the Westford Knight (Martin and Lawrence Press), will be stopping off at Passages of the Past and Review Your Book! While trying to help an elderly couple save their home, attorney Cameron Thorne is thrust into a bloody tug-of-war involving secret societies, treasure hunters and keepers of the secrets of the Jesus bloodline. Joined by Amanda, a beautiful British researcher with secrets of her own, Cam races around New England with only two choices, unravel the 600-year-old mysteries encoded in the ancient Templar artifacts or die trying. You can visit his website at www.davidbrodybooks.com. Sheri Kaye Hoff, author of the inspirational nonfiction book, Keys to Living Joyfully (Createspace), will be stopping off at Fictionary! 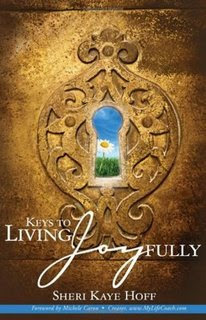 Keys to Living Joyfully is an inspirational book on experiencing joy, peace, passion, and energy in daily life. It is designed to demonstrate the powerful roles of thoughts, action, and faith. You can visit her website at www.lifeisjoyful.org. J.A. Hunsinger, author of the historical fiction novel, Axe of Iron: The Settlers, will be stopping off at The Plot and Denyse Bridger's Fantasy Pages! The first novel of a continuing character-driven tale of a medieval people whose wanderlust and yearning for adventure cause them to leave the two established settlements on Greenland and sail west, to the unexplored land later referred to as Vinland. You can visit his website at www.vinlandpublishing.com. J.W. Nicklaus, author of the book of short stories, The Light, The Dark & Ember Between (Bedside Books) will be stopping off at Write for a Reader! Fifteen stories: From the wispy fog of a love lost at sea, to an orphaned child who delivers a present of her own during a war-torn Christmas. These stories are gentle reminders to each of us of what it is to be human, and certainly of our affinity for the slightest glint of Hope. You can visit J.W. online at www.avomnia.com. Balthazar Rodrigue Nzomono-Balenda, author of The Depth of My Soul (I-Proclaim), will be stopping off at The 1st Page! The Depth of My Soul is a book or poetry that focuses on injustices such as wars, corruption, war crimes, religious fundamentalism, child abuse, and other types of abuse. The goal of this book is to share his approach with his readers about the problems we face in this world. You can visit Balthazar’s website at www.ganymedeweb.com. Patti B. Ogden, author of the Christian children’s picture book, Keoni’s Big Question (Capstone Productions) will be stopping off at Paperback Writer! A boy who seeks answers about God’s presence in everyday life, finds his friend held the key to his revelation all along. This gripping tale follows a pair of dear friends on a fishing trip that turns dangerous, then miraculous, and leaves Keoni with more answers then he ever dreamed possible! Every child wonders why we can’t see God. Keoni’s Big Question makes the answer easy to understand. You can visit Patti online at www.capstone-productions.com. T.E. Scott and Stephen Edds, co-authors of the business/personal finance book, The Losing Game: Why You Can’t Beat Wall Street (Hidden Truth Publishing, will be visiting Truth Brigade Radio! T.E. Scott exposes the stock market and commodity markets for what they really are — brilliantly marketed rip-offs. The Losing Game simplifies a very complex system that Wall Street has designed to separate the masses from their money without accountability or prosecution. As a result of this design, they have tricked us into believing that the stock market and commodity markets are something they are not. You can visit them online at www.thelosinggame.com. Robin Maderich, author of the historical romance novel, Faith and Honor (Blue Shutter Books) will be stopping off at Ticket to Anywhere and The Book Rack! Rescued from the harrassment of British officers in Colonial Boston by handsome, secretive Fletcher Irons, Faith Ashley’s slumbering passions are ignited, until the discovery that Fletcher himself is an officer of the army she has come to despise, a man who is the enemy. Yet with persistence, Fletcher wins the fiery Faith’s love. When the colonies erupt in Revolution, Faith refuses to choose between her loyalty to the cause and her love for the man who is far more than the color of his uniform. Will her honor be her undoing? You can visit Robin online at www.robinmaderich.com. Lloyd Watts, author of the self-help/personal finance book, The Flow of Time and Money: How to Create a Full and Prosperous Life (Megawatt Media Corporation), will be stopping off at Tristi's Takes! The Flow of Time and Money is a groundbreaking new book that will help you master the relationship between your time and money. Using simple, proven techniques and easy-to-understand diagrams, Dr. Lloyd Watts shows you how to take control of your income, expenses and time commitments in order to achieve wealth and personal fulfillment. You can visit Lloyd online at www.flowoftimeandmoney.com. Karen White, author of the contemporary fiction novel, The Lost Hours (NAL Accent), will be stopping off at The Review From Here! Now a near fatal riding accident has shattered Piper’s dreams of Olympic glory. After her grandfather’s death, she inherits the house and all its secrets, including a key to a room that doesn’t exist—or does it? And after her grandmother is sent away to a nursing home, she remembers the box buried in the backyard. In it are torn pages from a scrapbook, a charm necklace—and a newspaper article from 1929 about the body of an infant found floating in the Savannah River. The necklace’s charms tell the story of three friends during the 1920s— each charm added during the three months each friend had the necklace and recorded her life in the scrapbook. Piper always dismissed her grandmother as not having had a story to tell. And now, too late, Piper finds she might have been wrong. You can visit Karen online at www.karen-white.com. Tim Kellis, author of the relationship book, Equality: The Quest for the Happy Marriage (Gilgamesh Publishing), will be stopping off at The Writer's Life! 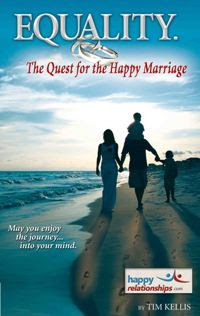 The journey through “Equality: The Quest for the Happy Marriage” includes a trip through history, where the most significant lessons civilization has learned over the last few thousand years are used to demonstrate not only the way to set up a positive relationship, but the causes of that relationship turning negative. You can visit Tim online at www.happyrelationships.com. After reading You Can Lead an Atheist to Evidence, but You Can't Make Him Think, I now understand why modern-day atheists go after Ray Comfort and his Way of the Master ministry so fervently. With humility, and all the while acknowledging he is also a sinner, Comfort reaches out to atheists and explains the lack of common sense he sees behind their views. And admittedly, Comfort is trying to get under their skin in order to force them to think. 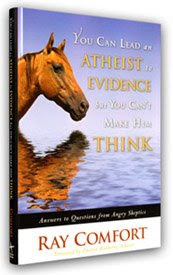 You Can Lead an Atheist to Evidence, but You Can't Make Him Think is a compilation of questions and answers from Comfort's Atheist Central blog, along with additional comments from the author. The book also includes quotes from Professor Stephen Hawking, author C. S. Lewis, Sir Issac Newton, and several Biblical quotations. Some of Comfort's arguments are redundant; but I believe that has more to do with the similiar questions posed to him by the readers of his blog, than because the author uses a script to engage atheists in conversation. What this book truly hits home for the objective reader is that atheists often miss the mark on what Comfort is trying to say to them. He is concerned for their souls. Knowing God and what it is like to be in a relationship with Him, and also knowing about the gift of Eternal Life and the existence of hell, the author is trying to get atheists to understand that being a Christian isn't about holding a different set of beliefs. It's about knowing God and being in a relationship with Him. While Comfort chooses to do this in a humorous and at times mildly sarcastic way, that does not negate his evidence. If you are a Christian looking for ways to discuss the message of Salvation with non-believers or if you are skeptical about the existence of God and that Jesus Christ died for your sins, you need to read Ray Comfort's You Can Lead an Atheist to Evidence, but You Can't Make Him Think. Mystery fans and fans of Edgar Allan Poe may be interested to hear that on Monday, April 27th, Boston, Massachusetts Mayor Thomas M. Menino will declare the intersection of Boylston Street and Charles Street South “Edgar Allan Poe Square.” The dedication is the result of the efforts of BC English Professor Paul Lewis to get Boston to re-claim the author during the bicentennial anniversary of his birth in Boston. Professor Paul Lewis's work on The Raven Returns Edgar Allan Poe Bicentennial Year Celebration is detailed at the Boston College University Libraries website. Edgar Allan Poe was born Jan. 19, 1809 at 62 Carver Street, near the intersection of Broadway, a since-demolished crossroads not far from the site of the new Poe Square. Poe served in the United States Army at Boston’s Fort Independence and signed his first published work, “By a Bostonian.” But his tumultuous relationship with his native city and its literary icons sent him to Baltimore and Philadelphia, cities that also lay claim to Poe’s legacy. "The Masque of the Red Death", "The Tell-Tale Heart", "The Fall of the House of Usher" and "The Raven" are some of Poe's most famous works. 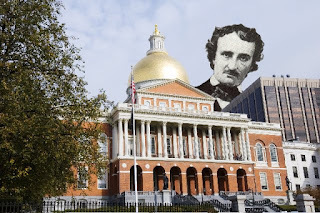 The dedication of Edgar Allan Poe Square in honor of the Bicentennial Anniversary of Poe’s 1809 birth in Boston will take place on Monday, April 27th, 2009 at 11:00 AM at the intersection of Boylston Street and Charles Street South (off Boston Common). You can contact Ed Hayward at the Office of Public Affairs at Boston College for more information. Mr. Hayward can be reached by phone at (617) 552-4826 or by email at ed.hayward(at)bc(dot)edu. Cherie Burbach, author of the Internet dating book, Internet Dating is Not Like Ordering a Pizza (Bonjour Publishing), will be stopping off at A Book Blogger's Diary! If you’ve tried online dating and given up, or even if you thought the Internet wasn’t right for you, this book will give you the courage to try again, this time armed with specific illustrations on what really works - from the profile through the dating stage. Don’t waste another minute wondering why some people seem to have Internet dating success while you’re still waiting for a response to your online ad. Through dozens of concrete examples, dating expert Cherie Burbach will show you how to write an eye-catching profile, search for, and meet the right person online. You can visit her website at www.thedifferencenow.com. Sheri Kaye Hoff, author of the inspirational nonfiction book, Keys to Living Joyfully (Createspace), will be stopping off at Scribe Vibe! Keys to Living Joyfully is an inspirational book on experiencing joy, peace, passion, and energy in daily life. It is designed to demonstrate the powerful roles of thoughts, action, and faith. You can visit her website at www.lifeisjoyful.org. Alan Kennedy-Shaffer, author of the political nonfiction book, The Obama Revolution (Phoenix Books) will be stopping off at Marta's Meanderings and In Bed With Books! The first book to be written by a campaign staffer and offering rare insider glimpses, The Obama Revolution explores how a generation of believers and the politics of hope won the presidency for Barack Obama and changed the world. You can visit Alan online at www.alankennedy-shaffer.com. Balthazar Rodrigue Nzomono-Balenda, author of The Depth of My Soul (I-Proclaim), will be stopping off at Between the Covers! The Depth of My Soul is a book or poetry that focuses on injustices such as wars, corruption, war crimes, religious fundamentalism, child abuse, and other types of abuse. The goal of this book is to share his approach with his readers about the problems we face in this world. You can visit Balthazar’s website at www.ganymedeweb.com. Patti B. Ogden, author of the Christian children’s picture book, Keoni’s Big Question (Capstone Productions) will be stopping off at Pop Syndicate! A boy who seeks answers about God’s presence in everyday life, finds his friend held the key to his revelation all along. This gripping tale follows a pair of dear friends on a fishing trip that turns dangerous, then miraculous, and leaves Keoni with more answers then he ever dreamed possible! Every child wonders why we can’t see God. Keoni’s Big Question makes the answer easy to understand. You can visit Patti online at www.capstone-productions.com. Richard E. Roach, author of the suspense mystery novel, Scattered Leaves (Multi-Media), will be stopping off at Peeking Between the Pages! When Ben McCord comes home from a business trip to find his young wife raped and murdered, he starts out on a journey of death and destruction. Clues lead him to a dark world of drugs and violence in action that spans Texas, Colorado, and the Mexican border. McCord hooks up with a beautiful doctor, who was also victimized by members of the same drug cartel, and together they track down the killers, surviving bloody confrontations, and ending with a suspenseful climax in the Big Thicket of Texas. You can visit Richard online at www.richarderoach.com. T.E. Scott and Stephen Edds, co-authors of the business/personal finance book, The Losing Game: Why You Can’t Beat Wall Street (Hidden Truth Publishing), will be visiting Books and Authors! T.E. Scott exposes the stock market and commodity markets for what they really are — brilliantly marketed rip-offs. The Losing Game simplifies a very complex system that Wall Street has designed to separate the masses from their money without accountability or prosecution. As a result of this design, they have tricked us into believing that the stock market and commodity markets are something they are not. You can visit them online at www.thelosinggame.com. Robin Maderich, author of the historical romance novel, Faith and Honor (Blue Shutter Books) will be stopping off at Girls Just Reading! Rescued from the harrassment of British officers in Colonial Boston by handsome, secretive Fletcher Irons, Faith Ashley’s slumbering passions are ignited, until the discovery that Fletcher himself is an officer of the army she has come to despise, a man who is the enemy. Yet with persistence, Fletcher wins the fiery Faith’s love. When the colonies erupt in Revolution, Faith refuses to choose between her loyalty to the cause and her love for the man who is far more than the color of his uniform. Will her honor be her undoing? You can visit Robin online at www.robinmaderich.com. Donna Lee Schillinger, author of the nonfiction Christian Living book, On My Own Now: Straight Talk from the Proverbs for Young Christian Women Who Want to Remain Pure, Debt-free and Regret-free (Quilldriver), will be stopping off at Paperback Writer! 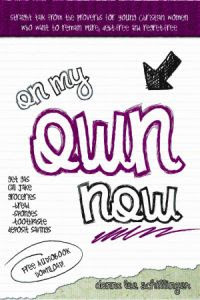 On My Own Now is about strengthening young women’s faith and preventing the screw-ups that can brand us for life. Donna Lee Schillinger draws on her eclectic past as a rebellious youth, Peace Corps volunteer, social worker, single mother, court mediator and executive director of a home for single young mothers. You can visit Donna online at www.onmyownnow.com. Lloyd Watts, author of the self-help/personal finance book, The Flow of Time and Money: How to Create a Full and Prosperous Life (Megawatt Media Corporation), will be stopping off at Noobpreneur is a groundbreaking new book that will help you master the relationship between your time and money. Using simple, proven techniques and easy-to-understand diagrams, Dr. Lloyd Watts shows you how to take control of your income, expenses and time commitments in order to achieve wealth and personal fulfillment. You can visit Lloyd online at www.flowoftimeandmoney.com. Karen White, author of the contemporary fiction novel, The Lost Hours (NAL Accent), will be stopping off at Diary of an Eccentric, Jenn's Bookshelf, Books and Needlepoint and Cheryl's Book Nook! Now a near fatal riding accident has shattered Piper’s dreams of Olympic glory. After her grandfather’s death, she inherits the house and all its secrets, including a key to a room that doesn’t exist—or does it? And after her grandmother is sent away to a nursing home, she remembers the box buried in the backyard. In it are torn pages from a scrapbook, a charm necklace—and a newspaper article from 1929 about the body of an infant found floating in the Savannah River. The necklace’s charms tell the story of three friends during the 1920s— each charm added during the three months each friend had the necklace and recorded her life in the scrapbook. Piper always dismissed her grandmother as not having had a story to tell. And now, too late, Piper finds she might have been wrong. You can visit Karen online at www.karen-white.com. J.A. Hunsinger, author of the historical fiction novel, Axe of Iron: The Settlers, will be stopping off at The Book Stacks! The first novel of a continuing character-driven tale of a medieval people whose wanderlust and yearning for adventure cause them to leave the two established settlements on Greenland and sail west, to the unexplored land later referred to as Vinland. You can visit his website at www.vinlandpublishing.com. Cherie Burbach, author of the Internet dating book, Internet Dating is Not Like Ordering a Pizza (Bonjour Publishing), will be stopping off at Beyond the Books! If you’ve tried online dating and given up, or even if you thought the Internet wasn’t right for you, this book will give you the courage to try again, this time armed with specific illustrations on what really works - from the profile through the dating stage. Don’t waste another minute wondering why some people seem to have Internet dating success while you’re still waiting for a response to your online ad. Through dozens of concrete examples, dating expert Cherie Burbach will show you how to write an eye-catching profile, search for, and meet the right person online. You can visit her website at www.thedifferencenow.com. David S. Brody, author of The Cabal of the Westford Knight (Martin and Lawrence Press), will be stopping off at Scribe Vibe! While trying to help an elderly couple save their home, attorney Cameron Thorne is thrust into a bloody tug-of-war involving secret societies, treasure hunters and keepers of the secrets of the Jesus bloodline. Joined by Amanda, a beautiful British researcher with secrets of her own, Cam races around New England with only two choices, unravel the 600-year-old mysteries encoded in the ancient Templar artifacts or die trying. You can visit his website at www.davidbrodybooks.com. Sheri Kaye Hoff, author of the inspirational nonfiction book, Keys to Living Joyfully (Createspace), will be stopping off at Bloggin 'Bout Books! Keys to Living Joyfully is an inspirational book on experiencing joy, peace, passion, and energy in daily life. It is designed to demonstrate the powerful roles of thoughts, action, and faith. You can visit her website at www.lifeisjoyful.org. Alan Kennedy-Shaffer, author of the political nonfiction book, The Obama Revolution (Phoenix Books) will be stopping off at In Bed With Books! 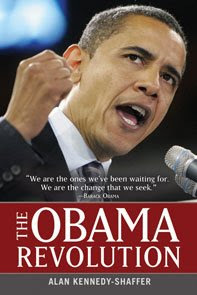 The first book to be written by a campaign staffer and offering rare insider glimpses, The Obama Revolution explores how a generation of believers and the politics of hope won the presidency for Barack Obama and changed the world. You can visit Alan online at www.alankennedy-shaffer.com. J.W. Nicklaus, author of the book of short stories, The Light, The Dark & Ember Between (Bedside Books) will be stopping off at The Plot! Fifteen stories: From the wispy fog of a love lost at sea, to an orphaned child who delivers a present of her own during a war-torn Christmas. These stories are gentle reminders to each of us of what it is to be human, and certainly of our affinity for the slightest glint of Hope. You can visit J.W. online at www.avomnia.com. Balthazar Rodrigue Nzomono-Balenda, author of The Depth of My Soul (I-Proclaim), will be stopping off at Paperback Writer! The Depth of My Soul is a book or poetry that focuses on injustices such as wars, corruption, war crimes, religious fundamentalism, child abuse, and other types of abuse. The goal of this book is to share his approach with his readers about the problems we face in this world. You can visit Balthazar’s website at www.ganymedeweb.com. 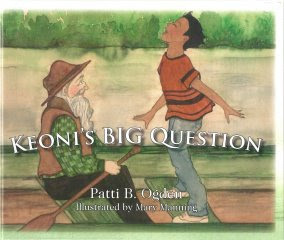 Patti B. Ogden, author of the Christian children’s picture book, Keoni’s Big Question (Capstone Productions) will be stopping off at Tristi's Takes! A boy who seeks answers about God’s presence in everyday life, finds his friend held the key to his revelation all along. This gripping tale follows a pair of dear friends on a fishing trip that turns dangerous, then miraculous, and leaves Keoni with more answers then he ever dreamed possible! Every child wonders why we can’t see God. Keoni’s Big Question makes the answer easy to understand. You can visit Patti online at www.capstone-productions.com. T.E. 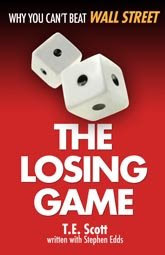 Scott and Stephen Edds, co-authors of the business/personal finance book, The Losing Game: Why You Can’t Beat Wall Street (Hidden Truth Publishing), will be visiting Windy City Writers! T.E. Scott exposes the stock market and commodity markets for what they really are — brilliantly marketed rip-offs. The Losing Game simplifies a very complex system that Wall Street has designed to separate the masses from their money without accountability or prosecution. As a result of this design, they have tricked us into believing that the stock market and commodity markets are something they are not. You can visit them online at www.thelosinggame.com. Robin Maderich, author of the historical romance novel, Faith and Honor (Blue Shutter Books) will be stopping off at Cafe of Dreams! Rescued from the harrassment of British officers in Colonial Boston by handsome, secretive Fletcher Irons, Faith Ashley’s slumbering passions are ignited, until the discovery that Fletcher himself is an officer of the army she has come to despise, a man who is the enemy. Yet with persistence, Fletcher wins the fiery Faith’s love. 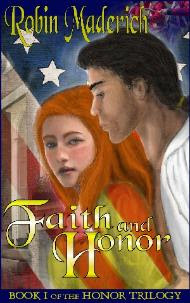 When the colonies erupt in Revolution, Faith refuses to choose between her loyalty to the cause and her love for the man who is far more than the color of his uniform. Will her honor be her undoing? You can visit Robin online at www.robinmaderich.com. Donna Lee Schillinger, author of the nonfiction Christian Living book, On My Own Now: Straight Talk from the Proverbs for Young Christian Women Who Want to Remain Pure, Debt-free and Regret-free (Quilldriver), will be stopping off at The Social Frog! On My Own Now is about strengthening young women’s faith and preventing the screw-ups that can brand us for life. Donna Lee Schillinger draws on her eclectic past as a rebellious youth, Peace Corps volunteer, social worker, single mother, court mediator and executive director of a home for single young mothers. You can visit Donna online at www.onmyownnow.com. Chet Galaska, author of the Christian nonfiction book, Finding Faith in a Skeptical World (Triad Press), will be stopping off at Book Tours and More! This book was written with the intent of providing brief shortcuts for curious unbelievers, those seeking faith, those new to it, and for Christians who may not be familiar with some of the ideas covered. The author realized that a book like this would have been valuable in helping him come to faith. 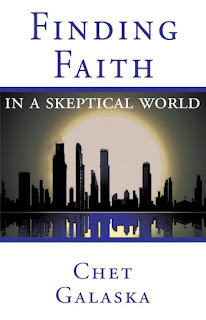 Since none was available, he wrote Finding Faith in a Skeptical World to share the things he learned in a reader-friendly, direct and concise way. You can visit Chet online at www.triadpress.us. Lloyd Watts, author of the self-help/personal finance book, The Flow of Time and Money: How to Create a Full and Prosperous Life (Megawatt Media Corporation), will be stopping off at The 1st Page! The Flow of Time and Money is a groundbreaking new book that will help you master the relationship between your time and money. Using simple, proven techniques and easy-to-understand diagrams, Dr. Lloyd Watts shows you how to take control of your income, expenses and time commitments in order to achieve wealth and personal fulfillment. You can visit Lloyd online at www.flowoftimeandmoney.com. Tim Kellis, author of the relationship book, Equality: The Quest for the Happy Marriage (Gilgamesh Publishing), will be stopping off at Blogcritics! The journey through “Equality: The Quest for the Happy Marriage” includes a trip through history, where the most significant lessons civilization has learned over the last few thousand years are used to demonstrate not only the way to set up a positive relationship, but the causes of that relationship turning negative. You can visit Tim online at www.happyrelationships.com. 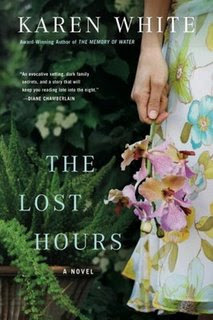 Karen White, author of the contemporary fiction novel, The Lost Hours (NAL Accent), will be stopping off at Books and Needlepoint! Now a near fatal riding accident has shattered Piper’s dreams of Olympic glory. After her grandfather’s death, she inherits the house and all its secrets, including a key to a room that doesn’t exist—or does it? And after her grandmother is sent away to a nursing home, she remembers the box buried in the backyard. In it are torn pages from a scrapbook, a charm necklace—and a newspaper article from 1929 about the body of an infant found floating in the Savannah River. The necklace’s charms tell the story of three friends during the 1920s— each charm added during the three months each friend had the necklace and recorded her life in the scrapbook. Piper always dismissed her grandmother as not having had a story to tell. And now, too late, Piper finds she might have been wrong. You can visit Karen online at www.karen-white.com.